Last month, at the American Fisheries Society meeting in Seattle, I sat down with Dr. Andy Danylchuk, assistant professor of fish conservation in the department of Environmental Conservation at the University of Massachusetts, Amherst. Andy is one of those professors with his hands in a lot of really cool research projects all over the world—from bonefish in The Bahamas to sustainable fishing in Africa. Over a couple of beers, we chatted about a project to help to preserve and protect sea-run brook trout and their habitat. 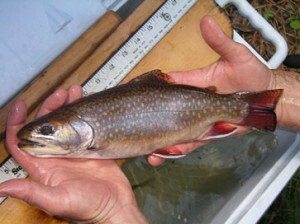 Sea-run brook trout, also known as “salters,” have been around for years, a lot of years in fact. In New England, they were prized as a sport fish. In the 1800s, there were fishing clubs in Massachusetts and New York located on the numerous salter-filled coastal streams. “In fact, salters were truly America’s first sport fish,” said Danylchuk. It was the telemetry research being conducted Danylchuk and his colleagues at Red Brook in Massachusetts that grabbed my attention. Red Brook is a 4.5-mile spring-fed trout stream flowing into Buttermilk Bay on Cape Cod. Over the last few years, thanks to efforts by Trout Unlimited, Mass Wildlife, and several other organizations, some dams have been removed from Red Brook. Determining whether brook trout in coastal streams regain their anadromous lifestyle after the removal of barriers is a fundamental step for their restoration and conservation. 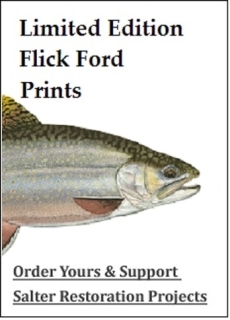 That led me to the Sea Run Brook Trout Coalition. 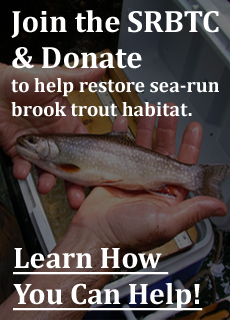 They help fund research for preservation and restoration of wild, native coastal brook trout in their historic range. There is a wealth of information on the coalition’s web site, and I encourage you to check it out. You can learn a lot more about the history of salters and what we can do to return these anadromous fish to streams and rivers where they once swam in abundance. 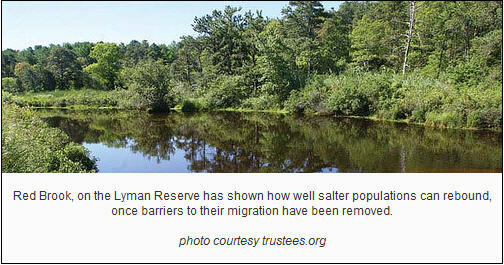 If you are interested in seeing salters up close or at least some prime salter habitat then check out the Lyman Reserve at the mouth of Red Brook. The reserve, made possible by the family of noted conservationist Theodore Lyman III and Trout Unlimited, is a wealth of history and provides you with a chance to do some catch-and-release fishing for native sea-run brookies. Most of us think of mountain stream when we think of brook trout. Imagine salters back in central New England? Wouldn’t that be “way cool”?.